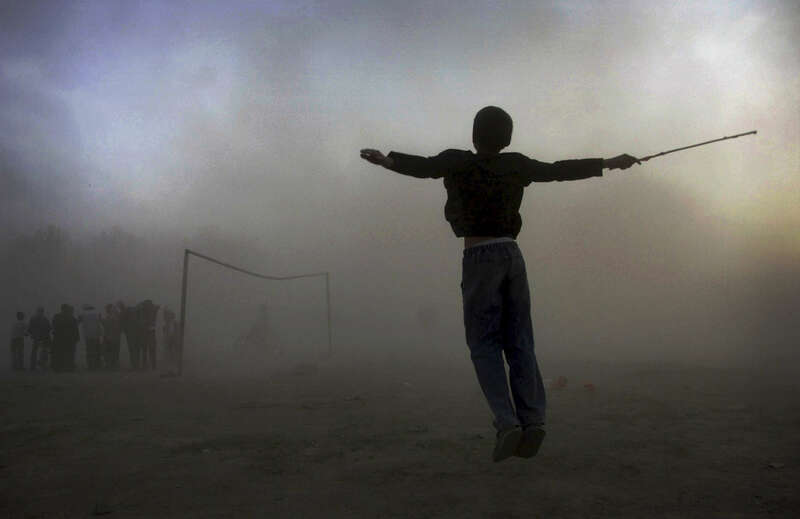 A boy leaps for joy as he enjoys an afternoon of kite running in Kabul, Afghanistan. Kite fighting is a long-held tradition in Afghanistan. The runners chase after the fallen kites.